It’s no secret that Bardstown is The Bourbon Capital of the World®, but did you know that it’s also a treasure trove of haunted history? As Kentucky’s second-oldest town, Bardstown has been playing host to some truly spooky sites and legendary tales for over 200 years. With haunted mansions, abandoned jailhouses, and everything in between, Bardstown is steeped in history, but not always suited for the faint of heart. Spend the night in an old jailhouse that’s now a lovely bed and breakfast. 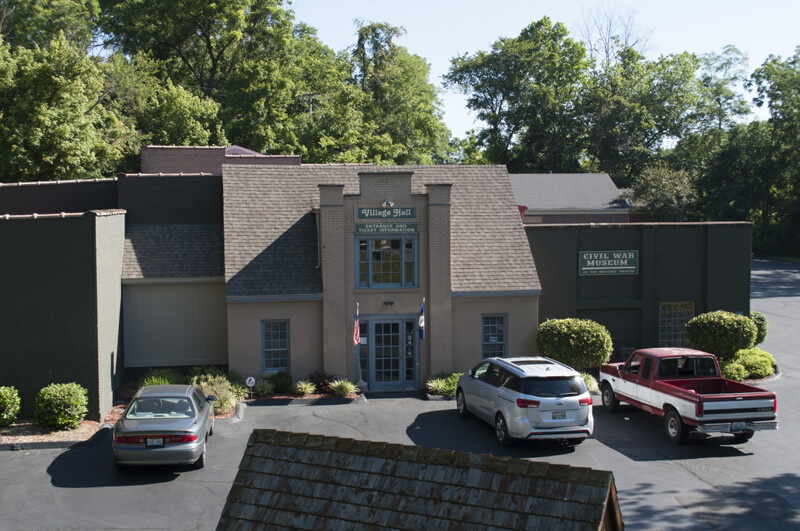 It may be no surprise that beautiful little Bardstown has a wide variety of historic bed and breakfasts to choose from when booking a visit. What may shock some travelers, however, is that one of the town’s most interesting options for lodging is an old jailhouse-turned-bed-and-breakfast called Jailer’s Inn. Jailer’s Inn is most notorious for having housed some of the scariest criminals in America between 1797 and 1987, when the building served as the town’s jail. It is also well known for having a large number of feisty spirits still lingering about the property today. 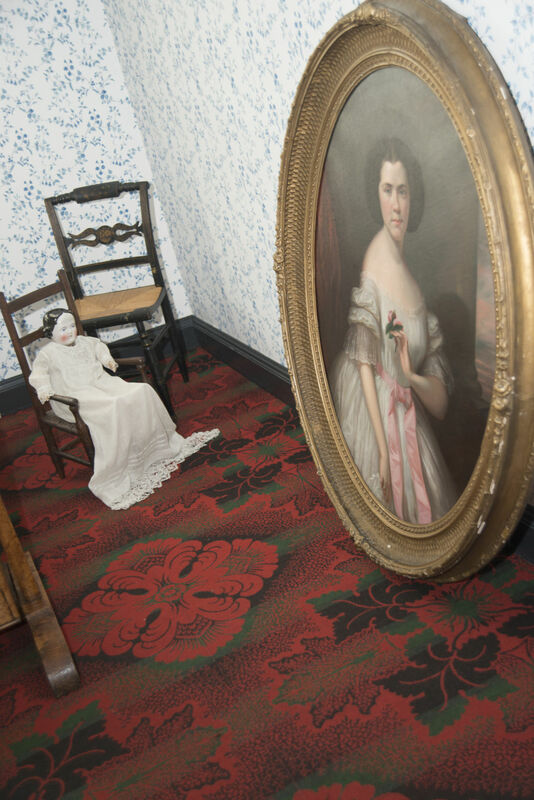 In fact, so many guests have reported seeing Mrs. McKay—one of the original jailers—that The Travel Channel once named it one of the 10 Most Haunted Places in the United States. 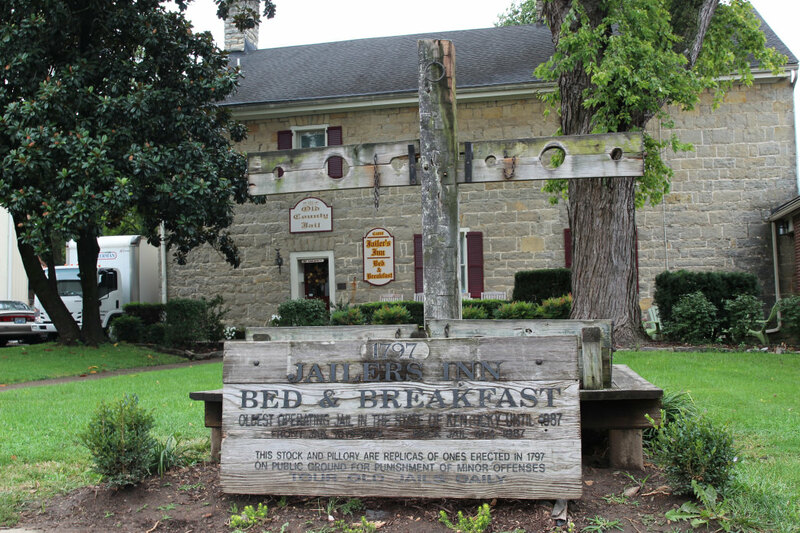 Of course, Jailer’s Inn is also very well known for being one of the most welcoming and hospitable bed and breakfasts in Bardstown today. 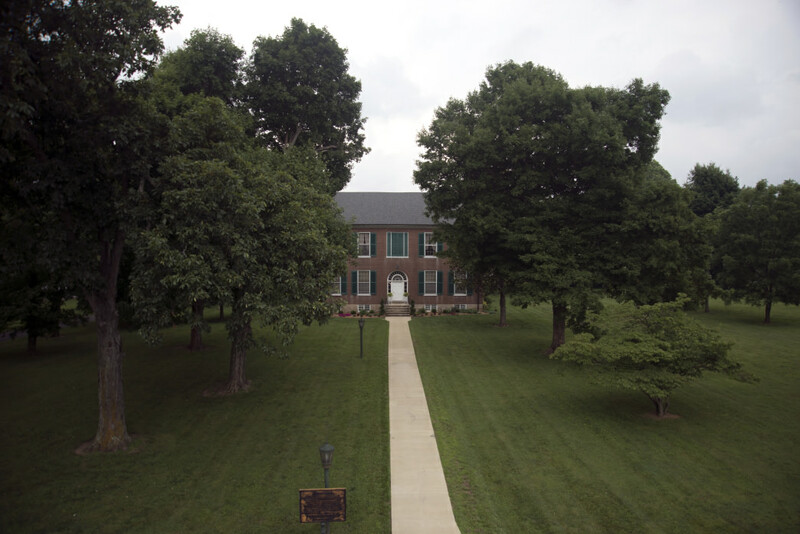 Visitors can stroll through beautifully landscaped gardens, fill up on delicious southern dining, and enjoy convenient access to everything else Bardstown has to offer. 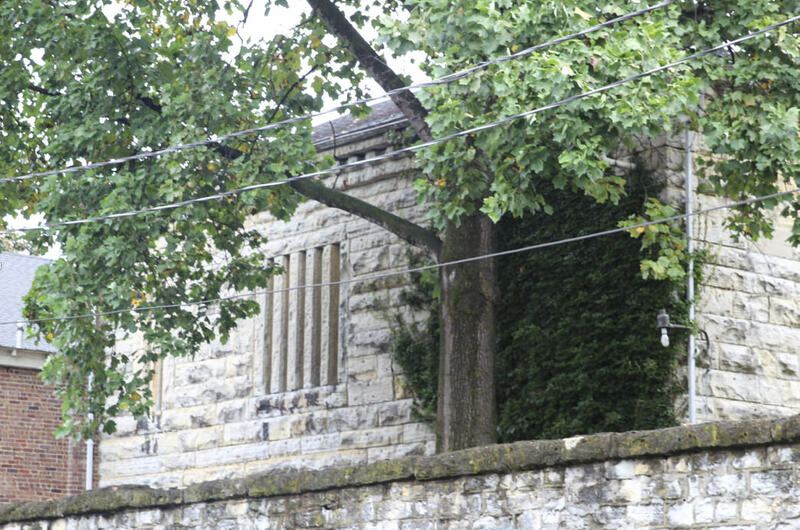 Supposedly haunted by past prisoners, this out-of-commission jail is one of the oldest in the state of Kentucky. Right behind Jailer’s Inn is the Old Nelson County Jail. There, you can tour the upstairs dungeon with two small jail cells, best-known for their 30-inch-thick limestone walls. The Nelson County Jail is one of the oldest jail complexes in the state of Kentucky, built in 1819 and used until 1987. And although it’s out of commission today, its legacy as an eerie addition to Jailer’s Inn remains, as guests and staff alike have reported peculiar encounters with prisoners from the past. This haunting landscape is perfectly situated behind the ghostly halls of Jailer’s Inn. Conveniently located right behind Jailer’s Inn on 4th Street, Pioneer Cemetery (also known as Old Jail Cemetery) is a must-see for people who appreciate haunted landscapes. 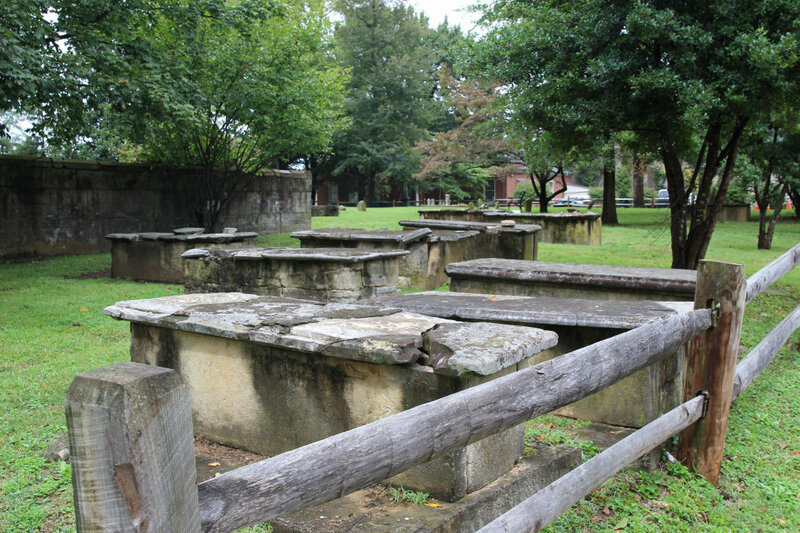 Stroll through the gravestones and chest tombs to get a feel for this ancient cemetery dating back to the 1700s. It hasn’t been used since the 1850s, but visitors will be glad to know that the grounds have been well kept, resulting in many tombstone inscriptions still being legible today. BONUS FACT: John Fitch, the inventor of the steamboat, was once buried here, though his remains were later moved. Many famous Americans throughout history have visited Old Talbott Tavern. 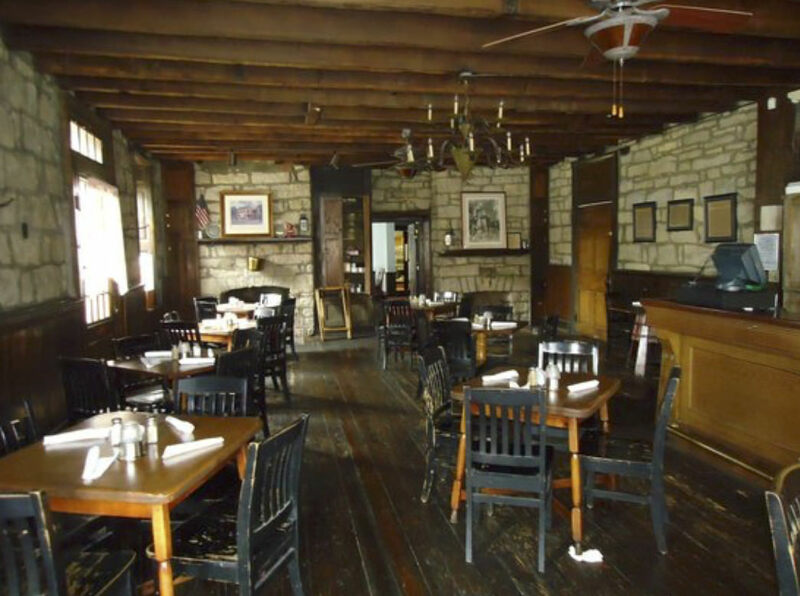 Thrill-seekers have been coming to Bardstown to check out Old Talbott Tavern since the 1780s. The restaurant-meets-bed-&-breakfast was once the oldest Western stagecoach stop in America, and today lives up to its chilling reputation with every new visitor who passes through its doors. In practice, the tavern has become a cozy local staple that really typifies classic Southern hospitality and decor. Visitors enjoy quaintly decorated rooms and mouth-watering cuisine, but it’s not uncommon for forks and glasses in the dining room to move on their own. Guests should also try to not be surprised if the piano begins playing unexpectedly or the clocks chime at odd times during the night! BONUS FACT: Some of the tavern’s most famous patrons include Daniel Boone, Abraham Lincoln, John Fitch, and Jesse James – who is especially notorious for leaving his mark on the pub by shooting at an upstairs mural. You can still see the bullet holes today! Together, the Civil War Museum and the Women’s Museum of the Civil War present one of the most compelling, complete museum experiences devoted to the American Civil War that can be found anywhere in the United States today. The Civil War Museum and the Women’s Museum of the Civil War is the fourth largest Civil War museum in America and contains authentic memorabilia and historical exhibits from both Union and Confederate forces. Highlights include the flag of legendary Kentuckian John Hunt Morgan, as well as the silver flask of Confederate General John C. Breckinridge. My Old Kentucky Home isn’t just famous for being named after the official state song. Known across the globe for getting a shout-out in Stephen Foster’s official song for the state of Kentucky, My Old Kentucky Home also has something of a spooky past. Originally built in 1818 by Judge John Rowan, the spectacular Bluegrass mansion was the unfortunate location of several tragic events throughout the late 1800s. Among those events were the deaths of eight family members and eight slaves all within a 24-hour period due to cholera, and the accidental death of the judge’s son, who fell out of his bedroom window. And although he was an adult with children of his own when he fell, many visitors claim to have seen the ghost of his grieving mother listlessly roaming the halls. The Mansion at Wickland, Home of Three Governors, is one of the best examples of Georgian-style architecture in the South. For the ghost-hunter aficionado, try taking the Spirits Tour at Wickland with a professional medium to tune into the ghostly energies surrounding the house. Visitors can even ask questions of the friendlier ghosts, with many having reported previously unconfirmed details about the ghosts’ lives. With all these spooky spots and more, beautiful little Bardstown has the kind of haunting grit that’ll make a believer out of the biggest ghost story skeptic – all you’ve got to do is visit! 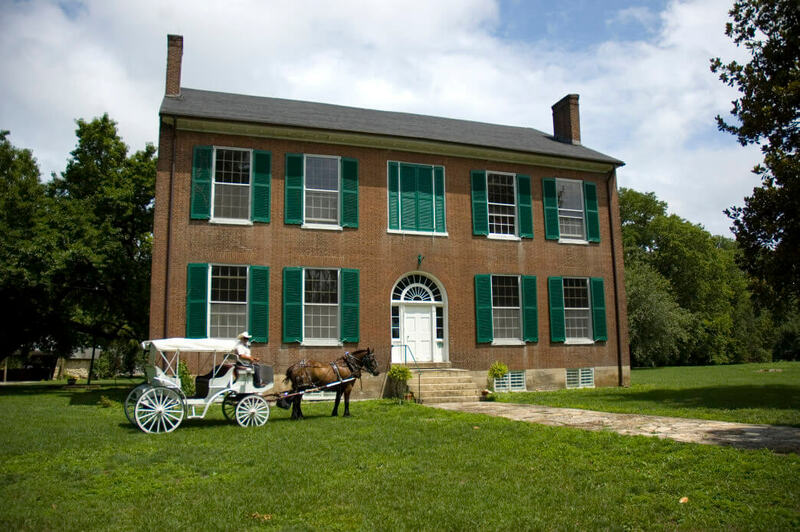 Looking for more historical experiences in Bardstown? Get our self-guided map of walking tours here so you don’t miss a thing!